Here is the best upgrade you can make to your GM transfer case(model 136, 146, 246, 261, 261HD, 263HD, 263XHD, 261XHD). Prevent the ever increasing problem of pump rub. Being that the pump housing is aluminum and is a harder material then the magnesium rear housing, it can wear a hole in the rear housing and cause a very small leak. This leak is high enough in the case that it typically will not leak when vehicle is not moving and therefor not leaving any drops on the ground. Typically the condition is not found until there is transfer case damage from running the case out of fluid. Avoid costly repairs to your transfer case by preventing this condition. 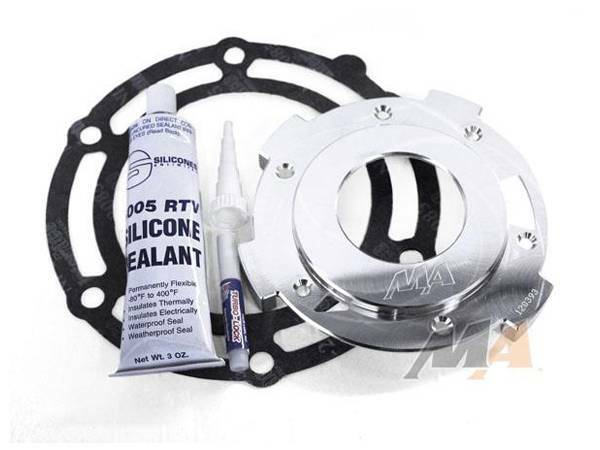 With installation of this kit, Merchant Automotive offers a LIMITED LIFETIME WARRANTY against pump rub.